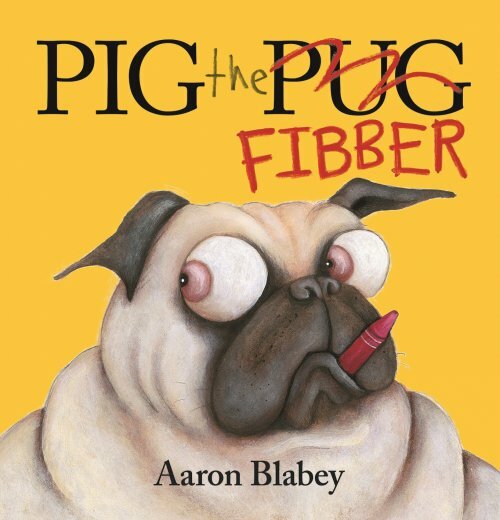 Pig the pug is a bit of a fibber and tells lies so that he can get his own way. Pig blames his friend Trevor, the sausage dog, for all his own naughty behaviour! Poor Trevor gets blamed for messing up the house, breaking the vase and ripping a lovely old dress. Until one day, Pig’s sneakiest (and stinkiest) plan backfires big time! Will Pig learn his lesson? Children will definitely relate to the story where the wrong person gets blamed for naughty behaviour and will be delighted when Pig finally learns his lesson. Pig the Fibber is an enjoyable read. Through lots of humour, it teaches children about what might happen when we tell lies. The rhyming text and expressive illustrations keep children engaged until the very end. This story can be used to target simple predicting (e.g. a bowling ball is on the top shelf of the cupboard - what might happen next?) and inferencing (Why does Pig have lots of bruises and a loose front tooth?). I also like using this book to teach the preposition ‘behind’ as the illustrations lend themselves well to talking about this location concept.